April 8…2019. Snowpack Above Normal. 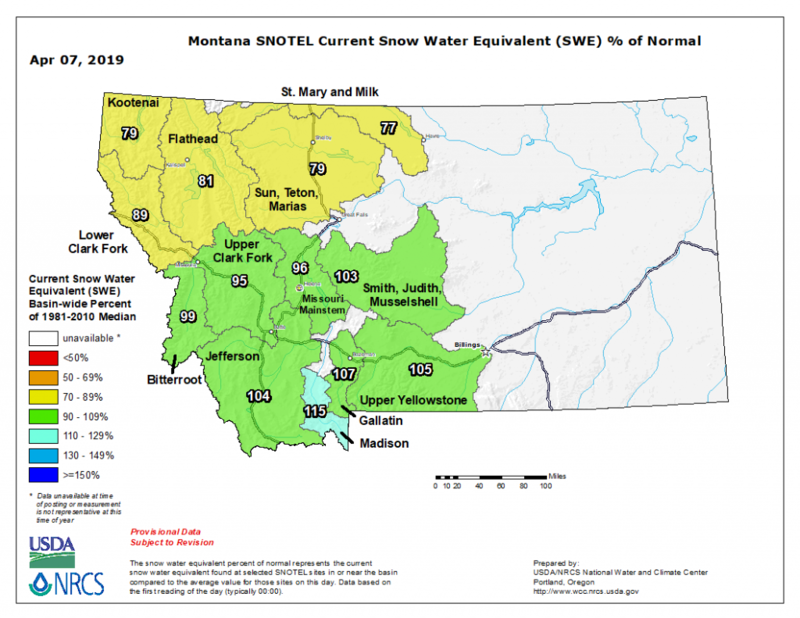 Upper Madison and Gallatin basins looking good for snowpack…both over 100% so far this year with more to come, as April is traditionally a heavy moisture month for Montana. Forecast calling for rain and snow all this week.